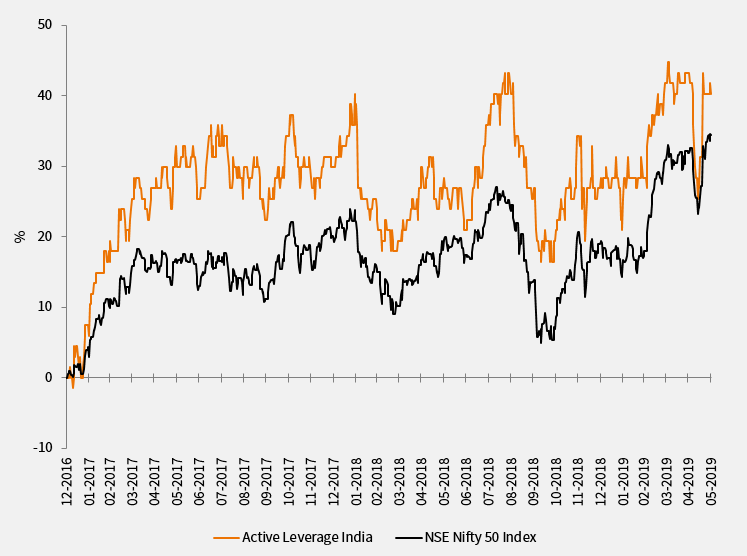 Intereffekt Active Leverage India is an active mutual fund that uses a dynamic trading model based on a combination of technical stock market indicators. With this trading model the fund actively responds to market developments, whereby the leverage in the fund can vary between 0 and 2. If the trading model generates a positive signal, the leverage will be set at a factor of 2. If the trading model generates a negative signal there will be no leverage relative to the underlying values. The exposure will then be reduced to 0.5, or in extreme cases to a minimum of 0. In the latter case, the fund temporarily will have no exposure on the market at all. The risk profile is high. The fund is aiming for capital growth. The fund will not pay any dividends. The manager will not use a benchmark as a gauge for the purposes of determining the investment policy or comparing the results. The fund is a subsidiary of Intereffekt Investment Funds N.V. (IIF), established with a so-called umbrella structure. For whom is this suitable? This fund is designed for investors who are familiar with the risks involved in the use of derivatives. Prospective investors should ask their investment consultant to determine whether or not this fund is suitable for them and ask for advice about the term for which the shares should be kept. The leverage is reweighted periodically and the fund may therefore not be suitable for the long term. No rights may be derived from this publication. 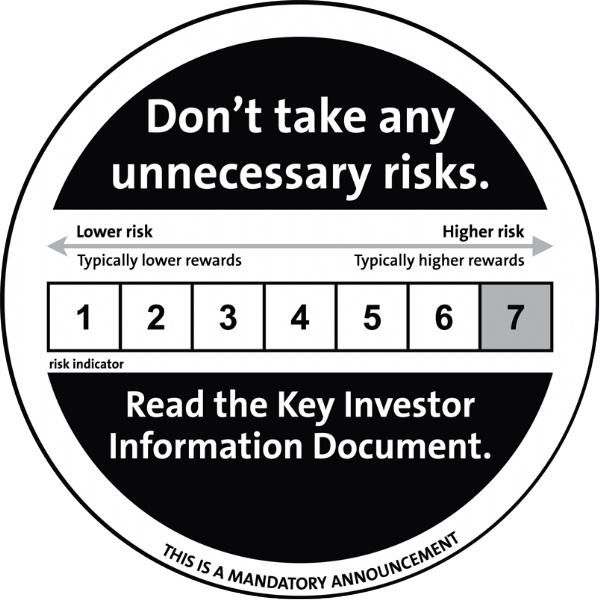 You are referred to the prospectus and Key Investor Information Document for the fund's terms and conditions. These documents may be obtained from the website or the address mentioned below. The manager of IIF has obtained a licence for this fund from the Netherlands Authority for the Financial Markets in accordance with the provisions of the Financial Supervision. The fund has a continuous quotation on Euronext and can be traded on trading days through any bank or broker. The fund will issue shares against ask price and will purchase shares against bid price. A margin or surcharge of at most 0.6% is charged (for a complete description reference is made to the prospectus).